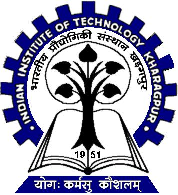 IIT Kharagpur Jobs Recruitment Notification 2019.Indian Institute of Technology Kharagpur inviting applications for the positions of Visiting Consultant/ Specialist.Interested and Eligible candidates can apply for the positions. Last Date for Submission of Application is on January 31st, 2019. Total number of vacancies is to be filled in IIT Kharagpur is 36 posts. Candidates who have passed in post graduate degree in any one of the above clinical disciplines from any recognized university they are eligible for the posts of Visiting Consultant / Specialist. Candidates will be hired through the interview session. Application process is on online mode by IIT Khargarpur Recruitment 2019 Notification for the posts of Visiting Consultant / Specialist from 16th January 2019 to 31st January 2019. Candidates are advised to apply before the last date i.e., 31st January 2019.
http://www.iitkgp.ac.in/ is the official link to apply and submit the form for candidates is directly.